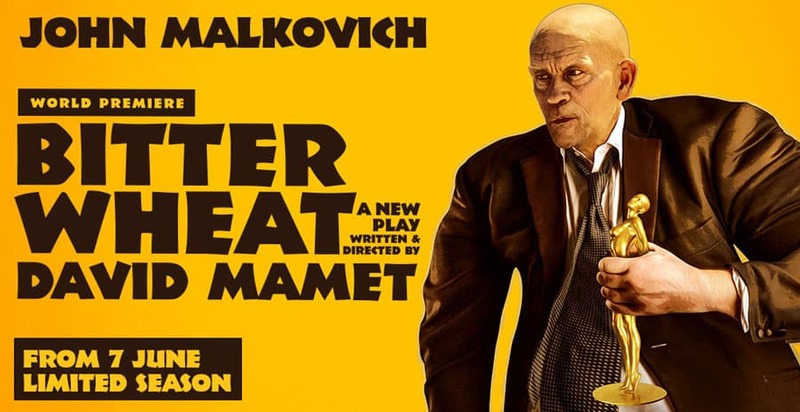 John Malkovich is to star in the world premiere of David Mamet’s Bitter Wheat at London’s Garrick Theatre. The play based on Harvey Weinstein will be directed by Mamet himself. Bitter Wheat will see Malkovich return to the West End stage after nearly thirty years to play Barney Fein, a top dog Hollywood producer. Everything in Hollywood is for sale except for the awards, which are for rent. Our hero, Barney Fein, is a bloated monster- a studio head, who, like his predecessor, the minotaur, devours the young he has lured to his cave. Malkovich, one of the world’s most revered actors, is best known for his many films including Dangerous Liaisons, Being John Malkovich, Con Air and Mulholland Drive. He recently received widespread critical acclaim playing Hercule Poirot in a new BBC TV Agatha Christie adaptation. The Pulitzer Prize-winning David Mamet has written some of the most iconic plays of the last 50 years including Sexual Perversity in Chicago, American Buffalo, Glengarry Glen Ross, Speed-the-Plow, and Oleanna. Malkovich will be joined onstage by Doon Mackichan as Sondra and Ioanna Kimbook in her theatrical debut. Doon Mackichan, who is well known for her extensive TV work which includes creating and starring in the hit comedy series Smack the Pony for Channel 4, Knowing Me, Knowing You with Alan Partridge, Plebs for ITV2 and Two Doors Down for the BBC, will play Barney Fein’s assistant, Sondra. Ioanna Kimbook will make her debut theatre performance in Bitter Wheat as Yung Kim Li. Further casting is to be announced. Joining Mamet on the creative team are designer Christopher Oram and lighting designer Neil Austin. Bitter Wheat plays at the Garrick Theatre from 7 June to 14 September 2019.